Sapa is not only a perfect place for outdoor activites but also a interesting place for exploring some of the most unique and fascinating hill tribe villages in the region. So, whether you travel to Sapa in any season, maybe it is the spring, summer, autumn or winter, it is easy to find endless Sapa vacation unique ideas. Here are the most amazing things that you should do in Sapa in your journey. Trekking in Sapa is one of the best ways to explore the majestic natural landscapes in Northern Vietnam. Known for the magnificent terraced fields along with the spectacular mountain vistas. Sapa offers a wide range of trekking spots from easy to hard level to you can choose the most suitable route for your journey. You can spend a few hours walking to Ham Rong (Dragon Jaw) Mountain, wandering through tribal villages along the mountain sides such as Cat Cat or Lao Chai, Ta Van Village to Muong Hoa Valley, trekking to the Ta Phin Village, Bac (Silver) Waterfall or three days conquering Fansipan, and enjoy the hospitality of local people. It is not surprise to know that Mount Fansipan is one of the most ideal destination in Vietnam for so many adventurous travelers coming from all over the world. Considered as " The roof of Indochina" with the altitude of 3,143m, Fansipan is truly a good choice for those who want to conquer high peaks and also conquer themselves. It’s definitely not an easy trek but it promises marvelous views of the Hoang Lien mountain range and pristine natural beauty. Climbers have chance to explore the diverse flora, enjoy beautiful orchids and wild flowers along the way. What a great experience! Technical climbing skills are not necessary, but endurance is a must. There are three popular routes to Fansipan, with the starting point is Tram Ton pass, Cat Cat ethnic village or Sin Chai. Sin Chai route is said to be the most beautiful but the most dangerous also. In condition, the long treks or climbing is not your choice, cycling tour is a other perfect way to admire the natural beauty of Sapa and discover the unique cultural identity of the ethnic minority people. In combination with sightseeing, mountain biking also gives you health benefits and brings you wonderful experiences. Cycling in mountainous terrain is suitable for people with generally good health and skilled cyclists. Sapa is a great place for exploring on two wheels, but be warned, the roads and paths are pretty steep. A two or three day trekking incorporating homestays in the villages is an enjoyable experience in Sapa. 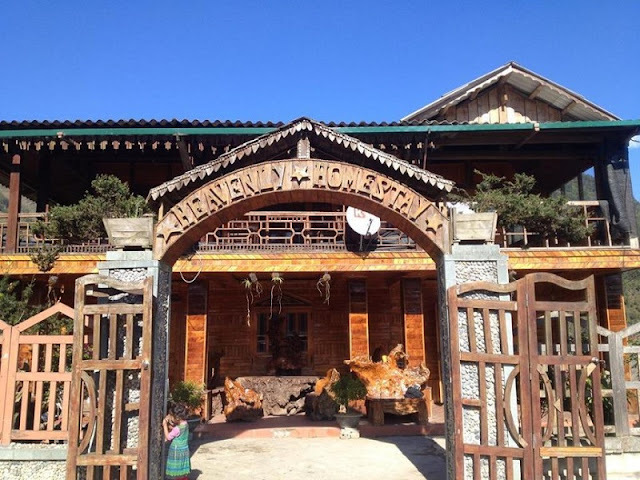 From the popular Lao Chai and Ta Van homestays to the quiet and remote village of Lao Chai San, each homestay has a different feel, but all offer the traveller a rare glimpse into the way of life that has all but vanished from the rest of Asia. On this trip, you will have the opportunity to relax with traditional medicinal herb bath of Red Dao ethnic minority. 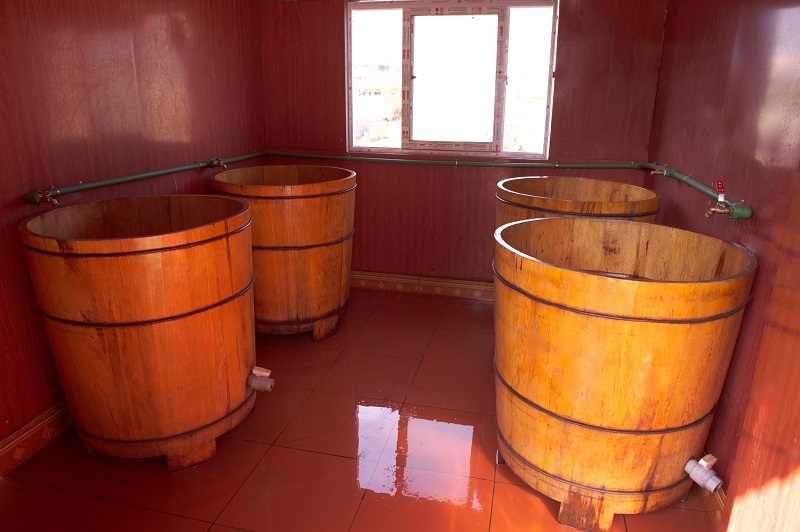 In Sapa, The Red Dao people is famous for their secret herbal bath therapy. After long days of sleeping on the train and bus, trekking through forest and mountains, you can totally relax and enjoy soaking in the herbal bath. It is very good for you, so do not miss it in any trip in Sapa. 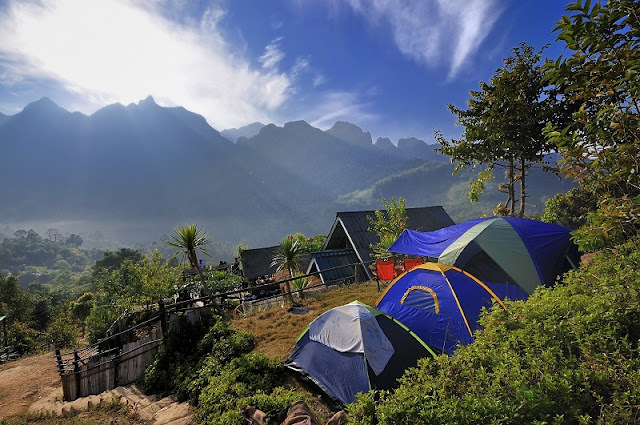 Besides, you don't forget that camping is also one of the quite unique and interesting activites in itinerary discovering Sapa.